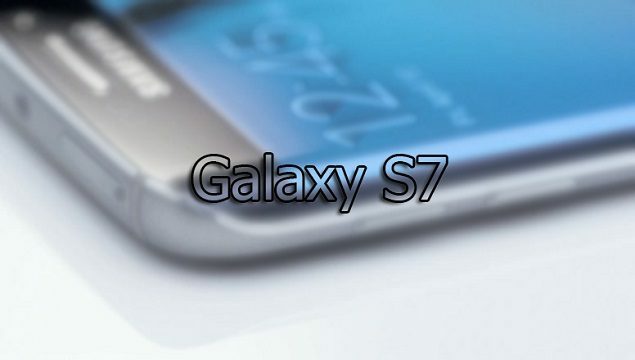 A multitude of leaks surrounding the highly anticipated Galaxy S7 show that mostly everyone is locked and loaded over the release of the upcoming handset. This latest benchmark shows that the device is rocking the 14nm FinFET LPP SoC, and the scores speak very loud volumes over the performance that we can expect from the device. 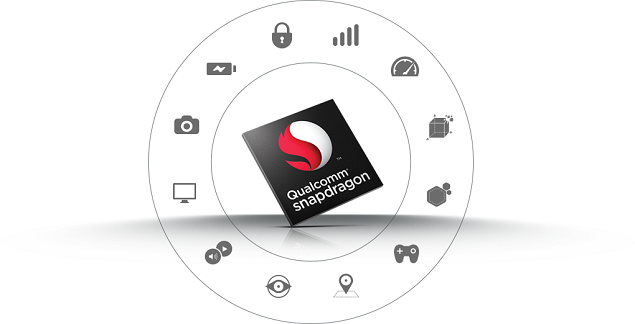 Snapdragon 820 has had some several benchmarking leaks, including one where there were several handsets benchmarked, and there is also a slight chance that Qualcomm might be introducing a second revision of the mobile chipset somewhere in the near future to take on future chipsets such as Apple’s upcoming 10nm FinFET A10. For now, this particular version of Snapdragon 820 will definitely be taking on Exynos 8890, and while Samsung might have agreed to incorporate Qualcomm’s own SoC inside the South Korean’s flagship smartphone, the firm is extremely confident of its own developed chipset, to the extent that it released a very detailed infograph on its specifications and capabilities. As you can see in the benchmarking results, the scores obtained are definitely impressive in the single-core section, but we feel that in the multi-core test results, the quad-core is unable to bring that much to the table. Perhaps it is due to the number of cores present inside the SoC, since we have seen on previous occasions that chipsets sporting more cores tend to perform well in the multi-core area of the test. Since the smartphone is yet to be officially announced, we are going to let this slide, but since Snapdragon 820 has been manufactured on an advanced manufacturing process, we expect that performance and efficiency will be the two strongest suits of the upcoming handset. While the hardware side of the smartphone is definitely something to look forward, let us dig into the software side of things; an area where Samsung has been severely criticized on, and it rightly should. The company’s TouchWiz interface, running on top of the Android OS has been hammered on numerous occasions for being too heavy on the system resources. We also reported that Google is intending on lending a helping hand to Samsung in order to further refine the interface, because it would be a huge blow to the tech giant if it loses out on the most popular Android smartphone manufacturer in the world right now. 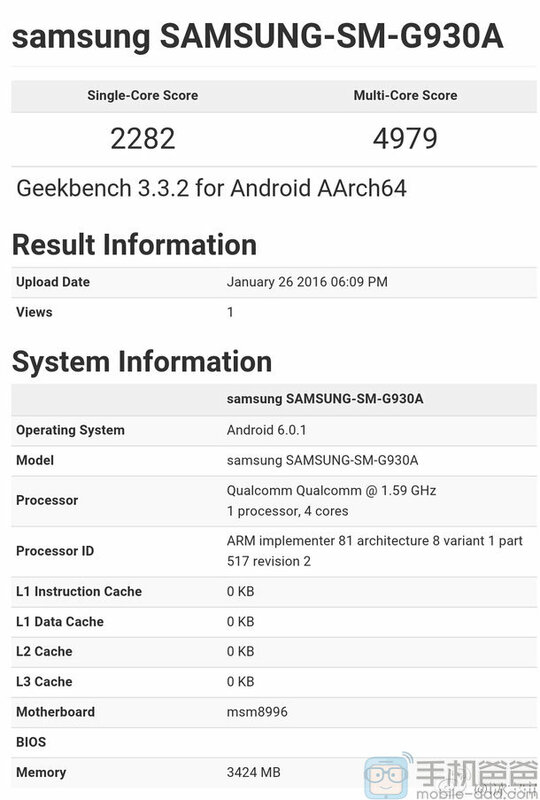 According to the benchmarking results, Galaxy S7 is going to be running Android Marshmallow 6.0.1 out of the box, so we should hope for better performance from the device. What do you think should be Samsung’s area of focus as far as its upcoming smartphone is concerned? Let us know your thoughts in the polls below.